New York-based designer Francesca Canepa takes great pleasure in the art of draping. While studying in Paris, she fell in love with the technique and empowering result it yields. 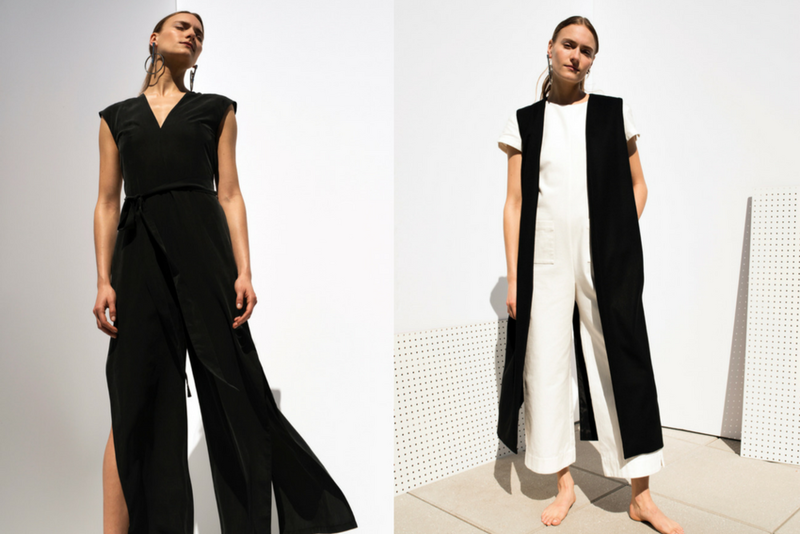 She wanted women to experience this same feeling through clothing and one of the reasons she created Port Zienna, a womenswear label that focuses on sustainable design through everyday essentials draped by hand. Her studies at Mod’Art International in Paris and Fashion Institute of Technology both in design and business helped set the foundation for her line and work experience at Oscar de la Renta, J.Mendel and now making embroiders for companies including Burberry, Tom Ford, Carolina Herrera and Monique Lhuillier has given her valuable insight. We believe that a woman has to feel and look comfortable in order to look empowered and confident, and we should feel like this everyday. Each piece is draped in Brooklyn and manufactured in Peru by a small community of artisans. The process is documented online and in their packaging through polaroid photos to help customers understand the craftsmanship that goes into the brand. Collection number 1 is clean, only using a color story of black, white and beige and consists of staples with a twist. An organic cotton blouse with an oversized collar and cuffs with a slit on the back and high-waisted palazzo pant styles are a few of these basics. Many of the tops fall with ease and she offers asymmetric skirts and a durable jumpsuit to round out the story. Learn more about this label at Port Zienna.